Tucked away in a small neighborhood near the historic downtown of Austell, Georgia at the corner of Love Street and Grace Street lies the 127 years-old First Baptist Church of Austell. The city of Austell, which acquired its name from a notable merchant, financier, and railroad builder named Alfred Arthur Austell, originated in 1885 and the Baptist Church of Christ began six years later on September 16, 1891 before later selecting the name First Baptist Church Austell in 1906. The church purchased property and built the first facility in September 1894, which is where it remained until building and opening a new chapel at the current location on May 6, 1945. The present-day sanctuary was built in 1974 on the existing property. During the summer of 2017, the remnant of the First Baptist Church of Austell realized they were now like 70 to 80 percent of the evangelical churches in North America that had either plateaued or declined. 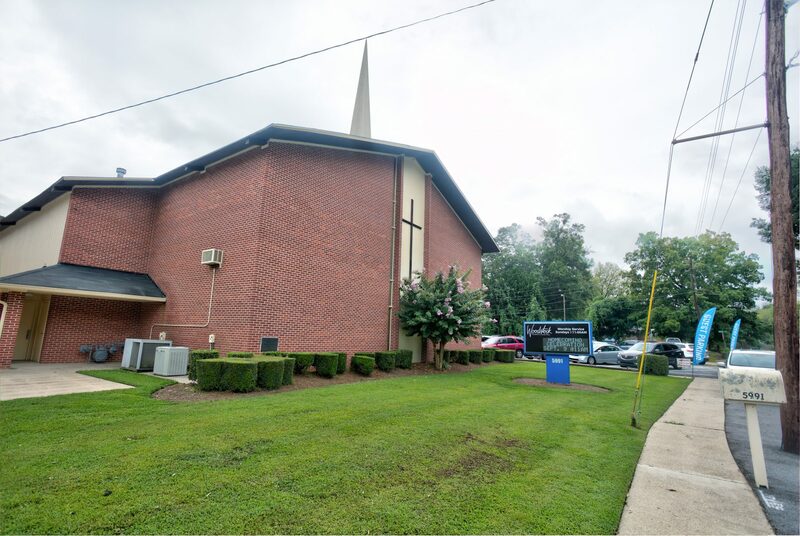 However, to avoid the fate of the more than 900 Southern Baptist Convention churches who close their doors annually, the church voted in the same year to become a legacy church by transitioning to a campus of the multi-site First Baptist Church of Woodstock. Therefore, First Baptist Church Austell officially became Woodstock Church at Austell on March 13, 2018, and the church held its grand opening on Sunday, May 6, 2018. One year later, the church, which now consists of ethnically and generationally diverse body of believers, is now well on its way to health again! The Sunday morning experience is lively with a combination of exciting worship and Spirit filled expositional preaching by Pastor JJ Washington.